Are you having trouble finding one of the main ingredient in your do-it-yourself hair and beauty recipes? Here is a quick shopping guide for finding our favorite oils--including a list of 5 carrier oils every natural should have. You can find many of the common oils at your local health food stores, which vary depending on where you live. If you have access to them, you can try national stores like Sprouts, Whole Foods Market, and GNC. You can even find some of the common cooking oils (like olive, grapeseed and coconut) at a regular grocery store, so check there first. If you cannot find essential or carrier oils where you live, they are very easy to find online. Here are a few online resources for oils. If you’re looking to buy a large amount of essential oils, then you definitely have to shop at Mountain Rose Herbs. This is your stop to purchase carrier and essential oils, herbs, and organic butters in a bulk. If cost is an issue, this online shop always has weekly specials and deals. Now Foods was the first brand I shopped as a beginner to essential oils. This store offers organic essential oils in both small and large bottles (26 ounces). Now Foods also has natural organic products for body care, hair care, and essential oils for aromatherapy purposes. Now Foods can be purchased from their website, but if you can’t find what you need in-house, they are available on Amazon as well. Want to shop for more than essential and carrier oils? Check out Butters-N-Bars; it's home to organic unrefined butters (shea and mango) and all natural hair care items including shampoos and deep condition masques. Similar to Mountain Rose Herbs, Butters-N-Bars carries large quantities of product so you no longer have worry about having to come back too soon to restock. Butters and Bars also have specials and giveaways known as Freebie Fridays. Widely known in the natural hair community, olive oil is a favorite for every curly girl. Olive oil is affordable and great addition to hot oil or deep conditioning treatment. Even though olive oil is a heavy emollient, it can easily penetrate the hair shaft and condition to provide moisture and improve your hair’s elasticity. Find out the other benefits of olive oil. You heard a lot about castor oil but have you consider trying Jamaican Black Castor Oil? Jamaican Black Castor Oil is often confused with original castor oil, but it’s just an unrefined form of castor oil. Jamaican Black Castor Oil is very versatile. Curlies of all patterns and hair types are fans of JBCO because it moisturizes, thickens, strengthens and encourages hair growth.” Learn more about Jamaican Black Castor Oil. 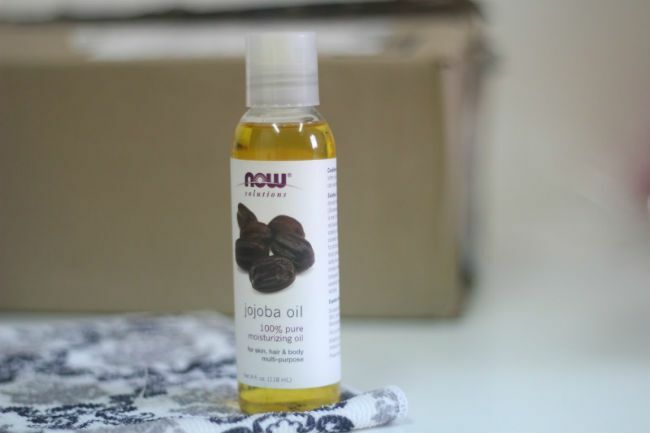 Jojoba oil is a natural girl’s best friend. Similar to jojoba oil is versatile and works well for all hair types and textures. Jojoba oil is known for its light consistency and odorless which makes it perfect to mix with other essential oils. Although it’s pricey, jojoba oil is the perfect for sealing in moisture and put a stop to those dry ends. Read what else jojoba oil can do for your hair. Grapeseed oil is a light and odorless carrier, commonly used to mix with other oil blend recipes. This oil provides numerous benefits for the hair and skin, but is most notable for containing high amounts of antioxidants and oligomeric proanthocyanidin complexes (OPCs) that increase the production of cells in the hair follicles to promote growth. Want to know more about the benefits of grapeseed oil? Check out this article. Commonly used in commercial hair care products, argan oil is one of the best oils that help to prevent dry, frizzy hair and improve your hair’s elasticity. Argan oil contains key nutrients for your hair, including rich fatty acids, antioxidants, and vitamin E to provide shine. Read this article for more info on how argan oil can better your hair and beauty routine. Where do you buy your hair oils?